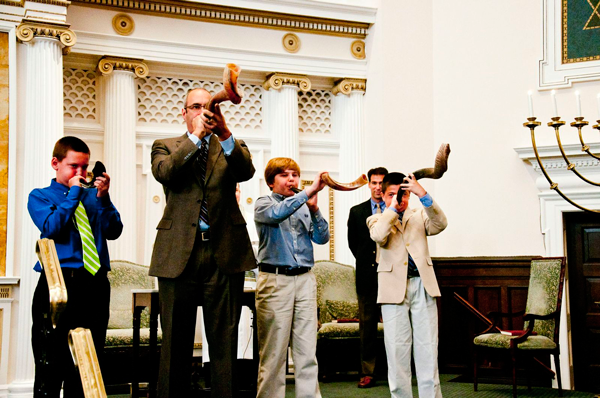 Beth Ahabah holds worship services and other activities to mark the Jewish holidays. These services and programs reflect the appropriate tone for each occasion, ranging from evening festival services, to a Congregational Seder at Passover, to a party at Chanukah, to plays and performances at Purim. For $50, you may be the patron of one of the 600 machzor sets and your patronage will be reflected by a dedication book plate in the hard covers of the set your patronage supported. Click here to download the order form. Please see the Congregation calendar for more details about Congregation Beth Ahabah's celebration of Jewish Holidays. Learn more about major Jewish holidays.